My company is a Poland Spring customer. We receive frequent deliveries of their 5-gallon water bottles for various water coolers stationed around our office. 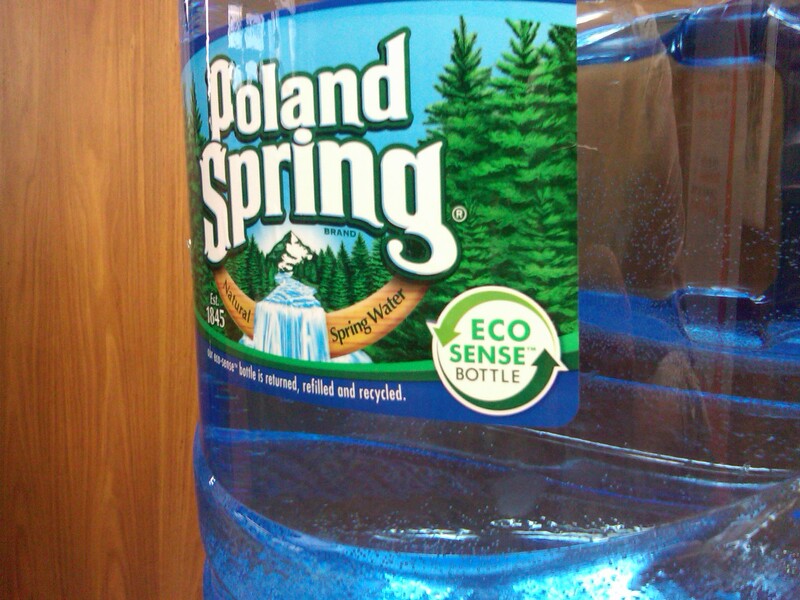 Image of the "ECO SENSE BOTTLE" logo on new 5-gallon Poland Spring bottles. Given my interest in green marketing and green business issues, I looked closer at the bottle, hoping for an explanation of what eco-sense means. Unfortunately, the only language that could be considered an explanation was, “our eco-sense bottle is returned, refilled and recycled.” As far as I know, the large bottles on water coolers have been getting returned, refilled and recycled for years. In fact, when the Poland Spring delivery team comes to our office, they drop full bottles off and pick up empty bottles to be cleaned and refilled. Unfortunately, the bottle does not have any more information on what the company, owned by Nestle, means by the new logo. Therefore, I called Poland Spring late last week and connected with someone in their Consumer Affairs department. When they learned that I was calling about a bottle typically delivered to businesses, they connected me to a group that fields questions and comments for their business services group. I spoke with a very nice representative who explained, “We’re trying to use less plastic on the actual bottles.” She also explained that they are made from “an easier plastic to recycle.” I asked a follow-up question about the ease of recycling the material, but she didn’t have specifics available. I made the suggestion that future bottles include this additional information about containing less plastic and being easier to recycle. The key lesson from this experience with Poland Spring is one that I and others in the green marketing community have been emphasizing for years: when you make green claims, you must be transparent and provide the details behind the language and numbers. 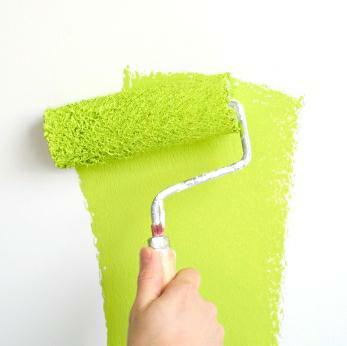 Wherever possible, it helps to provide third-party references for your claims. Poland Spring did not do this, which surprised me, given their past experience: Nestle Waters was hammered with greenwashing claims by bloggers when they came out with their eco-shape bottle across all of their water brands in 2007-2008 (of which Poland Spring is one) – here’s another example of criticism they received. I understand why they have been accused of greenwashing for their retail side bottles, as the majority of plastic bottles end up in landfills, and the eco-shape logo gives people the impression that they are being environmentally-friendly by drinking bottled water. Terrachoice, a leading environmental marketing agency, defines greenwashing as “the act of misleading consumers regarding the environmental practices of a company or the environmental benefits of a product or service.” I personally try to drink water out of a reusable bottle whenever possible, and my firm has given them to all of our employees as a way to practice what we preach. The difference in the case of the eco-sense 5-gallon bottle is that it is not greenwashing, but rather a failure of a major brand to provide clarity on its green claims. Large water coolers enable people to cut down on bottled water consumption in favor of filling up reusable water bottles like those made by Sigg or Nalgene. Poland Spring went to the trouble of trademarking “eco-sense” and creating a special logo for the term, but they didn’t take the extra step of providing consumers an explanation of what the term means. According to Cone, a leading cause marketing agency, 91% of consumers want to hear about companies’ social and environmental commitments. More than the high-level green logo or tagline, conscious consumers want to “get under the hood” and understand the details behind companies’ green claims. By failing to include further explanation of their eco-sense logo, Poland Spring failed to give their customers the option of learning more. I would strongly suggest they address this lack of transparency, and immediately start adding further information about their eco-sense program onto the larger bottles. It may cost a few more cents per bottle in printing fees, but they will more than make up for it with stronger customer relationships.